Civil Works specializes in public works planning and design services for municipal, transportation, and site civil projects. Our staff of eight includes five registered civil engineers, two certified stormwater designers (QSD/QSPs), and one registered traffic engineer. Civil Works provides senior-level experience on every project to provide the requisite experience and knowledge to correctly prepare construction documents, assist during bidding and construction, and ultimately deliver a high-quality project on schedule and within budget. Civil Works Engineers Founding Principal Marie Marston, has more than 35 years of experience in civil engineering planning, design, and project development for a wide range of public and private projects. Her company, Civil Works Engineers, has been in existence for 15+ years, where she has brought her vast experience at Caltrans and several private engineering consulting firms to provide personalized customer service to transportation, municipal, institutional, commercial and government clients throughout Southern California. She is a hands-on project manager and engineer leading project teams ranging from planning studies to PS&E development for roadways, site improvements, and drainage improvement projects. She is a fellow of ASCE and ITE, and a member of APWA and WTS. 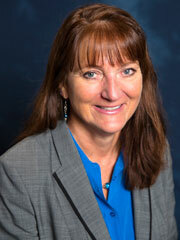 She currently serves as a director on the APWA Southern California Chapter. She was on the WB Orange County board for 12 years and served as president for 2 years. 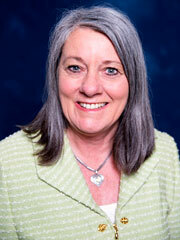 She is past president of the ASCE Transportation Technical Group. As an active member of her community, Marie recently completed an 11-year commitment as commissioner for the the City of Newport Beach Parks, Beaches, and Recreation Commission having served on the commission from 2006-17; serving as chair in 2008-09, 2010-11 and 2016-17. She was previously the President (2008-2014) and Treasurer (2005-07) of the Newport Beach Arts Foundation. She formerly served as an at-large committee member for the City of Newport Beach General Plan Advisory Committee (GPAC, 2002-2006). She is currently the Treasurer (2014-15) for Speak Up Newport, Newport Beach’s community forum. Marie graduated with her Bachelor of Science in Civil Engineering from Oregon State University, followed by a MBA from U.C. Irvine. She is a licensed P.E. in the State of California, and a certified SWPPP professional. Marie is an avid swimmer and snow skier and enjoys painting and drawing. François Zugmeyer has over 40 years of experience in public works projects and site development including transportation, hydrology, hydraulics, storm water, and grading. His experience in surface water and drainage projects includes hydrology, hydraulics, flood plain analyses, flood control, reservoir operation, storm drain design, runoff treatment, and water resources planning. Mr. Zugmeyer’s experience in transportation projects includes the planning and design phases and includes local city street projects and freeway and interchange projects. His freeway and interchange projects have included the preparation of project study reports, project reports, geometric development and design, hydrologic and hydraulic analyses, location hydraulic studies, floodplain evaluation reports, storm water data reports, drainage design, construction staging, utility, and grading prepared to Caltrans standards. He is experienced in all aspects of site civil engineering design for schools, hotels/commercial developments, and parking structures. Francois completed his Civil Engineering Degree at L’École nationale supérieure d'architecture de Strasbourg (E.N.S.A.I.) in France. He is a licensed P.E. in the State of California, and an active member of the American Society of Civil Engineers (ASCE). Ricky Chan, P.E., T.E., P.T.O.E. 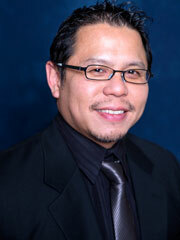 Ricky Chan has 17 years of experience in transportation, traffic, and municipal engineering projects. 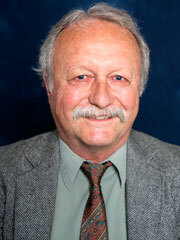 His experience includes bridges, retaining walls, hydrology and hydraulic reports and computer simulations, drainage design, intersection widening, local street design and rehabilitation, traffic studies, traffic control design, traffic signal operations, traffic signal design, construction inspection of traffic signal systems, and communication systems design, federal funding management, and PS&E projects. Ricky received his Bachelor of Science in Civil Engineering from U.C. Irvine. He is a licensed P.E. (Civil Engineering), T.E. and P.T.O.E. in the State of California. Tamara (“Tammy”) Allee has over 15 years of professional civil engineering experience in both the public and private sector throughout Southern California. Her background includes general infrastructure and public works improvement projects such as transportation including streets and freeways, site improvements for commercial and public facilities, hydrology and storm drains, water distribution, right-of-way engineering, utility modifications, and retaining walls. Her background also includes land development projects, including master planning, preliminary and final design. She is experienced in project management of tentative maps, grading, street improvements and utilities for both large-scale and minor subdivisions. She has extensive experience in QA/QC reviews of engineering plans, documents, reports, bids and specifications, and she is accustomed to working with federal, state, county and city jurisdictions. Ms. Allee received her Bachelor of Science in Civil Engineering from U.C. Irvine. She is a licensed P.E. in the State of California, and a certified SWPPP professional. 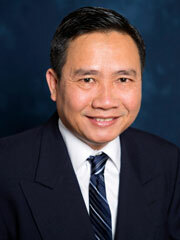 Mr. Lander Pham has more than 10 years of experience in public works projects and highway engineering and design. His experience includes design of roadway geometrics (horizontal and vertical), alternatives analysis, grading and drainage design, earthwork calculations, pavement structural section design, preparation of detailed construction cost estimates, exhibit preparation for technical presentations. He is knowledgeable in both Caltrans design standards and local agency requirements. Lander holds degrees in civil engineering from California Polytechnic University, Pomona and Ho Chi Minh City University of Technology. He is a licensed P.E. in the State of California, and an active member of the American Society of Civil Engineers (ASCE).